I had a long conversation with a sales rep for the Charlotte Bobcats this morning, the conversation was refreshing, wonderful and a little bit frustrating. I called her, informed her of who I was, and told her that I was planning on purchasing tickets for the Millwakee Bucks game. Once I was done discussing tickets, I asked her if she had a problem with me picking her brain about what the impression was of our group. She made it very clear the team knows who we are and what we want. “You guys were very visible and loud at your SWARM event. The energy is a good thing because it is definitely something that is needed. However, some of your supporters can come accross as being rude”. I told her I agreed with her 100% and that I have even mentioned in previous articles how we have 2 types of followers. One group, (including my brother and I), love the current team and just want this team to have an identity that represents the city and its history. The second group is comprised of individuals that have not gone to an NBA game since the Hornets left. They tend to take out their frustration over the NBA’s treatment of Charlotte on the current team (which in my opinion is not fair to the Bobcats). I also explained to her that we as organizers have been nothing less than supportive of this team and that we can not control who follows us anymore than they can….she agreed 100%. I later went on to explain to her that how the group was started. And told her that last night’s Clippers game was the only game I have not watched all year (because it was a west coast game) and that I have only missed 7 home games this year…she was shocked. She was really excited to hear that the guys who started this thing were Bobcats fans! I told her I have 3 cats jerseys, merchandise with the new logo on it, and a ball signed to me from Okafor. She then told me she would spread the word in the office and at the meeting she had later that day. 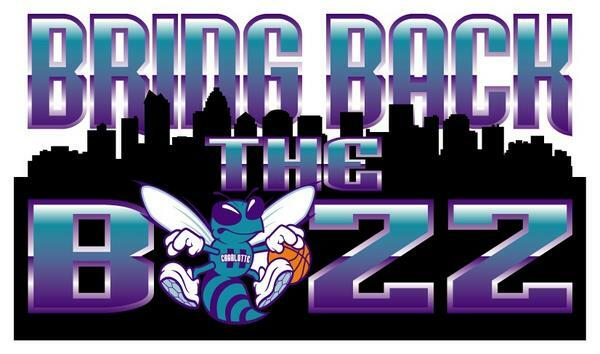 This movement was started by 3 Charlotte Bobcats fans who are still Charlotte Bobcats fans. We support the current team and between the 3 of us have only missed 6 games this year. This movement was created to return the name that was given to us over 200 years ago by Lord Cornwallis and put it back into the community in which it rightfully belongs.This movement was created to bring back a passion and an identity to a team that plays in a city with very rich history This is and has never been an “us v them” movement….because in our mind we are one in the same. To think that we are not makes absolutely no sense, since the Charlotte Hornets will be the exact same franchise as the Charlotte Bobcats just a different name. We kindly ask our followers to be positive when dealing with the Charlotte Bobcats and to support the team as much as possible. Keep in mind that when you are asking them to change their name to the Charlotte Hornets, you are representing the thousands of people who want this to happen. This is happening. Michael Jordan is a smart man, he knows that if he had no intentions on changing the name the last thing he should do is bring it up…for this will only upset the thousands of people who want it to happen. Keep your heads up and stay strong, we have come to far to stop now.